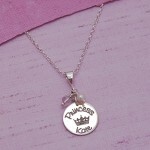 Beautiful handmade personalised sterling silver necklace for those little princesses in your life. A special gift which will make every little girl feel like a princess wearing this beautiful silver necklace personalised with her name. A sterling silver disc etched with an intricate crown design and the word Princess then personalised with the name of your little princess, adorned with either a purple or pink gemstone and a white freshwater pearl, suspended on a delicate sterling silver trace chain. 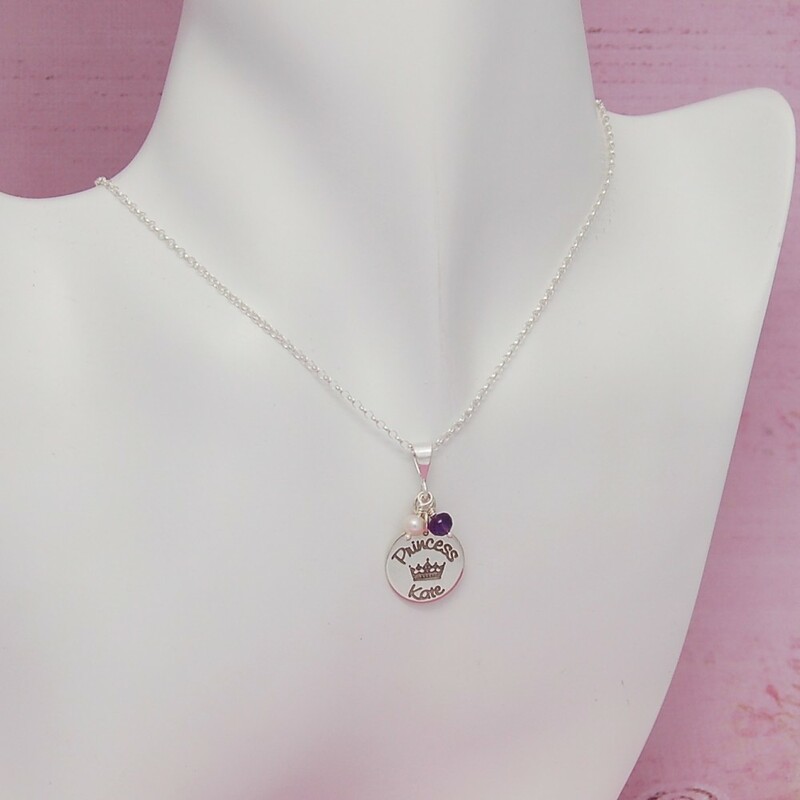 All our pieces are designed and made to order in our workshop so if you would like a custom design made or a little change to this design then please just contact us and we will see what we can do for you. Sterling Silver, Freshwater Pearl and Amethyst Gemstone. 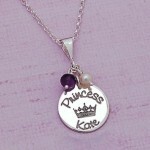 The sterling silver disc measures 16mm x 1mm thick. 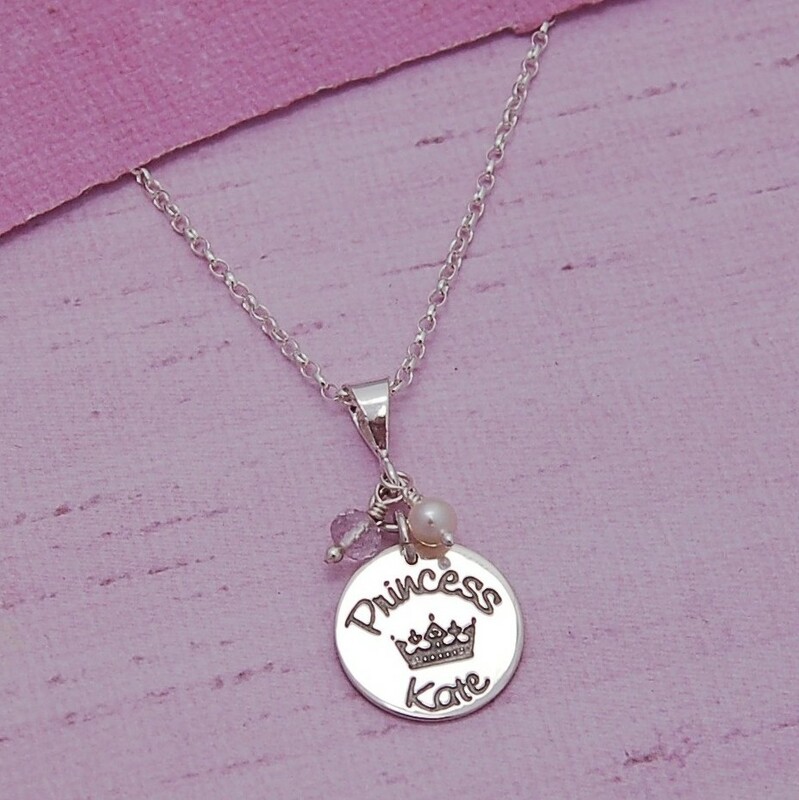 The pendant hangs from a sterling silver trace chain which is available in 14” (35cms) which is generally suitable for 6 – 12 year olds and 16” (40cms) suitable for 12 years to late teens.